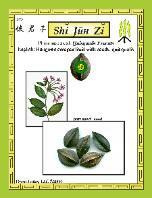 to create an efficient, effective way to learn Chinese herbs and set the foundation for understanding Chinese herbal formulas. 361 Color Coded Flash Cards! are packaged in an attractive, sturdy, easy-to-access case. Order Now and Receive Free Shipping within the United States!